Apple has confirmed it’s deploying camera-equipped cars to capture data—including images—to improve its mapping service. The cars have been spotted in several U.S. cities over the past few months, leading to speculation that Apple was collecting mapping data to better compete with Google Maps. 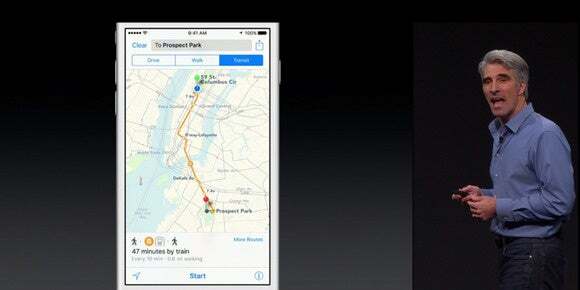 “Some of the data” the cars collect will appear in future updates of Apple Maps, the company said Wednesday. Beyond mentioning images, Apple didn’t say what additional information the vehicles would collect. Apple also didn’t share what it would do with the data that doesn’t make it into Maps. Apple said it will protect people’s privacy by blurring their faces and vehicles’ license plates before publishing the photos. This suggests Apple is gathering photos from a street-level perspective to offer a feature similar to Google Maps’ Street View. Google, which launched Street View in 2007, began blurring the faces in images used for the service after people raised privacy concerns. Apple will continue to map U.S. cities and is expanding the program internationally. The cars will appear in England and Ireland later this month, in addition to several U.S. locations, Apple said. The features in Apple Maps have lagged compared to Google Maps’ functionality. For example, this week Apple said it is adding public transit directions to Maps, a feature Google’s service already offers. In 2012, Apple ran into controversy when it swapped out Google Maps for its own mapping software on iOS devices. Google Maps had been the default map app on iOS devices since the original iPhone. Apple Maps, which appeared in iOS 6, was fraught with problems, including blurry images and misidentified locations. The debacle around Maps caused Apple CEO Tim Cook to issue a rare apology and reportedly led to the ouster of the software executive who oversaw Maps.